Raize Video Converter, Convert Video to Popular Videos. Raize Video Converter is an all-in-one video converter software to convert video files from one format to another, and extract audio tracks from video. It allows you to convert all popular video formats including AVI, DivX, XviD, MPEG, WMV, MOV, ASF, QuickTime, MP4, 3GP, 3G2, MOD, FLV, dvr-ms, VOB to iPod, PSP, Zune, mobile 3GP and 3G2, you can also convert the above video formats to AVI, DivX, XviD, DVD, SVCD, VCD, MPEG-1, MPEG-2, WMV, ASF, VOB, MOV formats. With the very easy to use interface you can also extract audio tracks from video files to MP3, AC3, AAC, M4A audio formats. Raize Video Converter includes functions of iPod Video Converter, PSP Video Converter, Zune Video Converter, MP4 Converter and 3GP Video Converter. This PSP, 3GP, Zune, iPod, MP4 video converter that lets you enjoy all your popular video files on Sony PSP, mobile phone, Zune Player, video iPod and other MP4 portable devices. Convert all video to PSP, iPod/ iPhone, Zune, MP4, 3GP, 3G2. Convert all video to AVI, MPEG-1, MPEG-2, DivX, XviD, WMV, ASF, MOV, VOB, QuickTime. Convert all video to MP3, AAC, AC3, M4A (MPEG-4 Audio) audio format. Convert video to iPod video, PSP video, Zune, 3GP and 3G2 for sharing your video on portable devices. Convert video to VCD/DVD/SVCD compatible mpeg file. Convert AVI, DivX, XviD, MPEG-1, MPEG-2, WMV, ASF, MOV, VOB, MP4, FLV, dvr-ms files. Extract audio tracks from video to MP3, AAC, AC3, M4A files. Support H.264 MPEG-4 AVC video format for PSP. Support DivX, XviD avi format. Support MPEG1, MPEG2, MS MPEG4 video format. 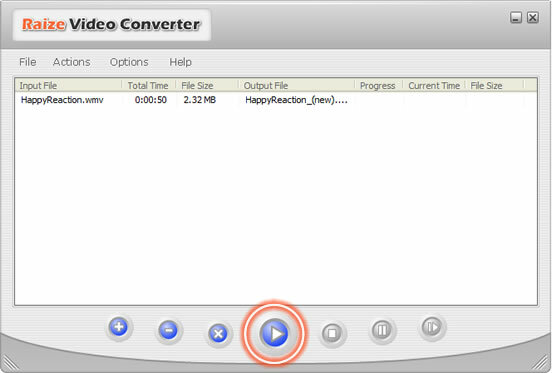 Converting in batches with Raize Video Converter. Convert video to PSP for playing on Sony PSP. Convert video to iPod for enjoying your video on Apple iPod. Convert video to mobile 3GP and 3G2. Convert video to Zune which can be played on Microsoft Zune Player. Convert video to MP4 format. Convert various video to AVI, MPEG format, including MPEG-1, MPEG-2, VCD/SVCD/DVD format. This is a mov converter as well. It can convert your mov to DivX, XviD, AVI, MPEG, WMV format, or extract the audio from mov, and save as MP3 format. 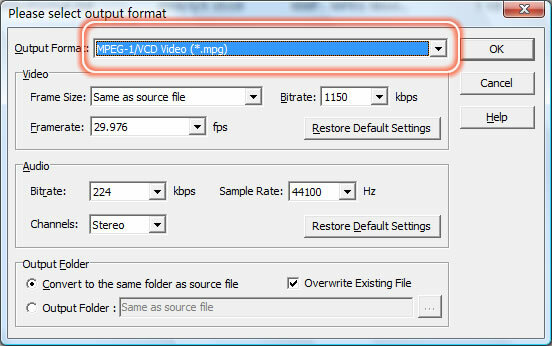 Convert WMV to other formats, such as MPEG, AVI, DivX, XviD, etc. You can also convert various video to WMV video format, or convert your wmv to MP3 format, which can be played on your MP3 player. Convert DivX, XviD, WMV, ASF, MPEG-1, MPEG-2, MOV, MOD, RM, RMVB, or AVI to MP3 audio format directly. Convert your video to DivX, XviD format. Raize Video Converter can convert xvid to wmv, mpeg or other video formats. Convert .flv to avi, mpeg, mp4, wmv, divx, xvid, 3gp, ipod, psp, or other formats.